Kologarn is the sentinel that stands in the way between your raid group and the rest of Ulduear. He is a challenging boss guilds that are new to raiding. Like Deconstructor, victory lies in the ultimate ability of individual players. Eyebeams: Two ways to handle this. Run out the door or run circles on the right side of the platform. More on this later. Stone grip: HeÃ¢â‚¬â„¢s going to pluck three players in to the palm of his hand and attempt to squeeze them to death until they get broken out. The only way to break players out is by DPSing the arm. Once it takes 380000 damage, the players are released. DPS priority is going to approach the boss in this order: Right arm, Elementals, torso. When any arm is destroyed, the torso loses the same amount of health. ItÃ¢â‚¬â„¢s best to call out right arm health at 5% intervals starting from 20 so your tanks know when to switch. After the right arm falls, elementals will spawn. Two tanks are needed to hold KologarnÃ¢â‚¬â„¢s attention. HeÃ¢â‚¬â„¢s got a Gluth-like debuff that requires two tanks to taunt off each other. Otherwise, the debuff becomes flat out unbearable. Make a beeline for the door and down the stairs. The upside is that it presents minimal risk to the players in your raid group. The down side is if the player is too slow, they might die due to line of sight issues. As healers, we donÃ¢â‚¬â„¢t have to worry about this. Have beam focused players run circles along the right side of the room. The pros and cons are the exact inverse of the bailing-out-the-door method. Focused players are well within range of healers. But poor kiting can lead to multiple casualties. Whatever solution you choose, drill it in the heads of the rest of the raid to immediately get out of the green. The beams are extremely hard to miss. Keep your head up. ItÃ¢â‚¬â„¢s happened before. IÃ¢â‚¬â„¢ve seen the off tank gain aggo of all ads and get focused by beams at the exact same time. As a tank, heÃ¢â‚¬â„¢ll live for a few extra seconds but not anymore after that. Use whatever saves you can on him to help lessen the blow. Pain Suppression, Guardian Spirit and Blessing of Sacrifice work admirably. Around 6-7 healers is a good number to start with. Expect an enormous amount of raid damage being doled out. His left arm sweeps the entire raid for around 15000+. Pick two of your strongest tank healers and assign them to the main tank (this will vary as theyÃ¢â‚¬â„¢re taunting off each other). Be sure to have KologarnÃ¢â‚¬â„¢s target up so you can see which tank heÃ¢â‚¬â„¢s presently on. If you have access to two Resto Shamans, they can anchor the Stone Grips quite easily. Addon: Don’t Be a Friend, be a Shaman Friend! At first glance, most players might not recognize what that is. 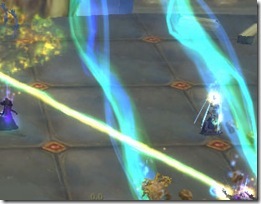 As Shamans, we have a huge variety of tools at our disposal to deal with buffs and spellcasts. 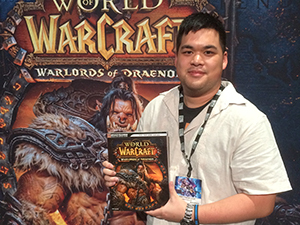 Jin was sporting a spiffy addon throughout WSG weekend and I had to ask him about it. It’s called Shaman Friend. Basically, it outputs selection actions into party chat, raid chat, say chat, or raid warning. Totally handy for PvP action. I wonder if there’s something like that for Priests. I pulled this list right from the Curse description. – Show how the duration of Frost Shock on your target are affected by Dimnishing Return and showing when Diminishing Return goes off. – Can print messages in MSBT, SCT, Parrot and a few others. So what’re you waiting for? Go grab it now!